Approval types identify the individuals who will be approving users’ timesheets and expenses. You can setup many different approver types, each of which will have a specific approval function within the approval path. Workflows establish which manager(s) must approve an employee’s time or expense submissions before those entries can be processed for project costs, billing, payroll, reports, etc. When multiple approvals are required for the same submission (e.g., first the Project Manager and then the HR Manager), the workflow also controls which manager approves first, second, and so on. A workflow is first created in the [Approval Types] view and then assigned to individual projects. When the employee submits a time or expense entry, the designated manager then approves the time and expenses using the Time & Expense approval view. When signing on, an approving manager is notified when submitted entries are awaiting approval. Approval paths define the approval process for the users in your organization. 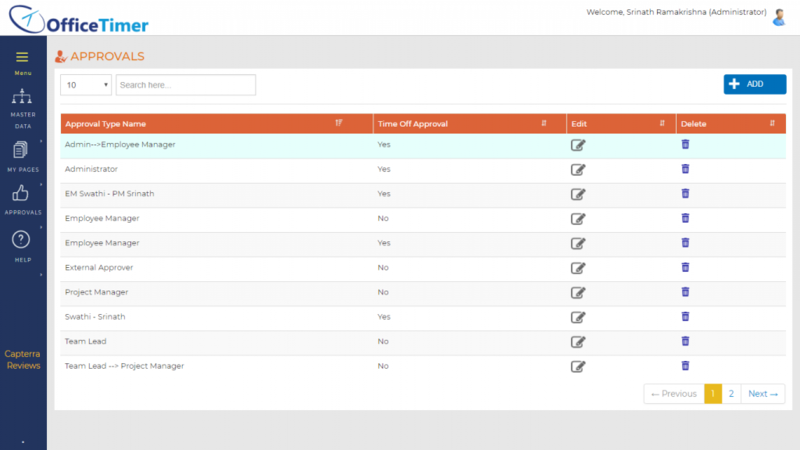 You can include five different types of approver in your approval path definition. You can define approval sequence for each of the approval paths in your approval paths definition. 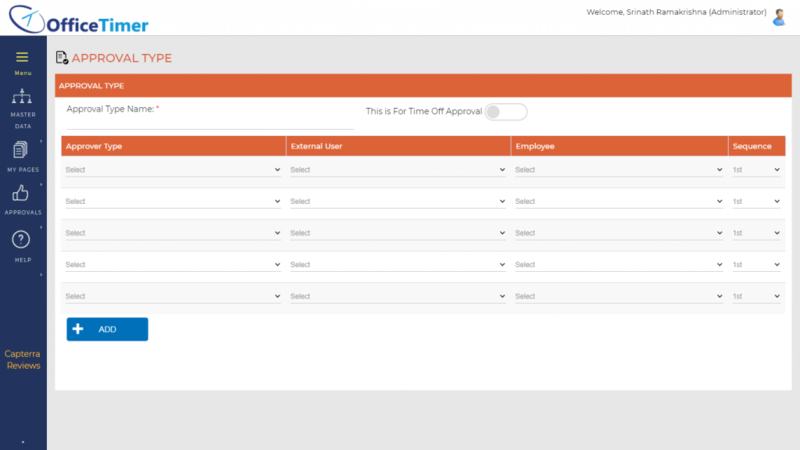 There are five types of approver types in OfficeTimer which you can define in approval paths. Employee Manager (Employee own manager defined in employee form). Multiple approvers can receive and approve the same item concurrently. For example, if you have defined two approval types named Supervisor and Administrator, you can assign them both 1st position in the approval sequence, and they will both receive approval items simultaneously.